Any Lab Test Now is a franchise company dedicated to providing direct access laboratory testing. Any Test Franchising, Inc. acquired the rights to franchise the concept on September 20, 2007, which enabled the company to spread across 160+ stores all across the US. Note that all store locations are owned and operated independently due to the underlying business model. Any Lab Test Now allows consumers and businesses direct access to numerous testing options, including STD screening, paternity and other relationship tests, toxicology testing services, and many more. The main idea behind the company is to provide a plethora of testing solutions with affordable price tags. 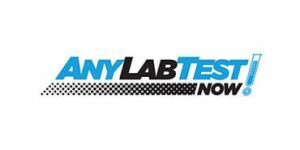 If you’re interested in learning more about the company and its standing offer, read our thorough Any Lab Test Now review and get all the information in one place. After you identify the location of the nearest Any Lab Test Now store, you can simply go there and provide the relevant medical sample for the test of your choice. The skillful phlebotomist (medical assistant) will collect the biological specimens needed for that specific test, label them appropriately, and complete any required paperwork or chain of custody documentation. Finally, they will send your sample to Any Lab Test Now’s certified and accredited laboratory partner for further analysis. Making an appointment is not required, but it can definitely be beneficial since the medical assistant can gather all the proper supplies and documents and have them ready by the time you visit. The whole procedure takes around 15 minutes or less, even without an appointment. Every store location has a physician present that oversees the testing. You can also present a formal order for a lab test issued by your physician. Once your final report is generated, the results will be sent back to the location where you purchased the test. If you so requested, the staff will contact you to inform you that your results are ready for pickup. You can also inspect your results online. The results are usually available within 24-48 hours after your specimen is collected. If you decide to send somebody else to pick up your results for you, they will have to provide your written consent in order to do so. All store locations are usually open Monday through Friday 8 AM-6 PM and Saturday 9 AM-2 PM. If you need information about a specific store’s work hours, you can visit its individual location website. Note that Any Lab Test Now doesn’t allow refunds once your specimen has been collected and sent for processing. The panel includes testing for HIV, hepatitis B & C, syphilis, gonorrhea, chlamydia, and herpes simplex virus 1 & 2. The testing will require a blood and urine sample and the results usually arrive within 24-48 hours. These two tests can be bundled since they both use the same testing procedures and the infections go together very often. This HIV test screens for antibodies your immune system created to fight off the infection. The testing window for this option is 4 weeks. The panel screens for hepatitis A, B, and C. The testing doesn’t require fasting or abstaining from any activities. The results usually arrive within 24-72 business hours after your specimen collection. The Trichomonas Vaginalis is performed to screen evidence of this parasite in your urine sample. No preparations are required for this test, but the official website doesn’t state the average turnaround time. Apart from STD screening, Any Lab Test Now offers a wide variety of other solutions, including DNA, health & wellness, and toxicology tests, alongside lab tests for athletes and B-12 shots. The company also provides numerous business-related testing solutions covering DNA referrals, tests for employers, and testing options for medical, legal, and medical tourism. Any Lab Test Now is a franchising business endeavor with 160+ independently owned and operated store locations. You can use the official company website to screen for the store closest to you and visit its location page to receive more detailed information. Any Lab Test Now collects personally identifiable information, including name, home or work address, email, and telephone number, anonymous demographic info like age, gender, ZIP code, interests, and preferences, and hardware and software information, including IP address, domain names, browser type, timestamps, and referring addresses. Any Lab Test Now uses the collected information to provide its services, operate its website, inform you of its products and services, and to conduct research. Any Lab Test Now doesn’t rent, lease or sell its lists of customers to any third parties. The company will not disclose any sensitive personal information without your explicit consent, except if required to do so by law. Any Lab Test Now accepts cash and all major credit cards, as well as most HSA credit/debit cards associated with major credit cards. Note that medical insurance is not accepted, but you can always check with your insurance company if your policy warrants reimbursement for your lab tests. There are three ways you can contact Any Lab Test Now. You can submit a ticket, call its toll-free number or use the provided Location Finder tool and contact the specific store directly. Whatever option you choose, the support staff will be ready to answer all of your questions and explain the company’s testing procedures and policies in great detail. If you are still not certain if Any Lab Test Now is just right for you, knowing its advantages and disadvantages can help you make an informed decision. Any Lab Test Now is an excellent idea put to work resulting in a company that offers one of the most impressive testing portfolios on the market. The company implemented a franchise model and currently operates more than 160 store locations spread all over the US. This makes any testing endeavors much more convenient and quicker. 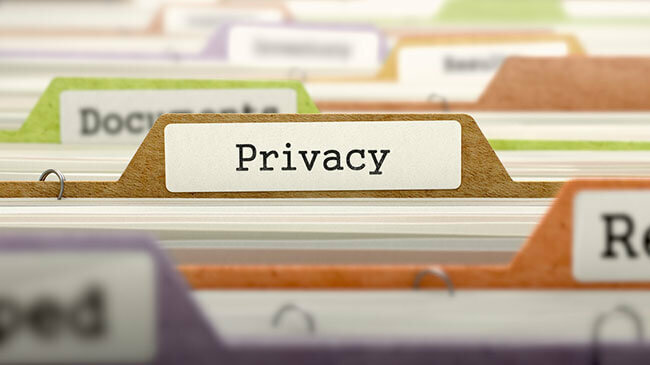 The testing procedure is anonymous and the company does its best to implement numerous security measures in charge of preserving user privacy. If you have any doubts, you can always contact the friendly and knowledgeable user support and the staff will walk you through the process and answer any questions you might have. We hope our in-depth Any Lab Test Now review painted a pretty good picture of the company and helped you make the best choice in picking the right testing provider for your particular needs. Our ratings are the result of an objective and independent evaluation of Any Lab Test Now , generating the final rating that reflects the overall quality of the company. Ratings may change as the service changes. Any Lab Test Now user rating based on 4 user reviews. Excellent service and very fast results! Great company, but i wish they had a store closer to my neighborhood. They took my sample and sent me home in less than 10 minutes. Now i'm waiting for my results. The support guy really took the time to hear me out and answered all of my questions so that even a baby can u8nderstand what's going on. We found 0 verified Any Lab Test Now discounts for April, 2019. There are no Any Lab Test Now coupons or discounts right now. If you like Any Lab Test Now but aren’t sure whether they are truly the ideal choice for you, you may want to take a look at our comparisons below to discover if one of their competitors is more suitable for you.